AKIPRESS.COM - A monument to Soviet rock legend Viktor Tsoi has been unveiled in Karaganda city, Kazakhstan, Radio Free Europe reports. Tsoi and his rock band, the Kino, were extremely popular in the Soviet Union in the late 1980s. His songs stand as symbols of the hopes for freedom and political change. He died in a car crash on August 15, 1990. 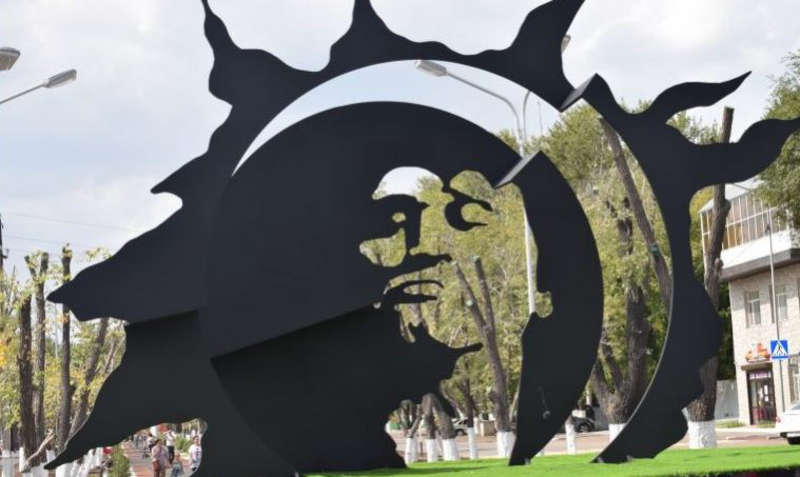 The monument in Karaganda is made of iron sheets that form the silhouette at the moment of a solar eclipse, with Tsoi's features cut into the center of the composition. An image of the solar eclipse was on the cover of Tsoi's last album, The Star Named The Sun, which was released weeks before his death. Tsoi recorded the hit song by the same name in Almaty, then Kazakhstan’s capital, in 1988.